Investment Opportunity! 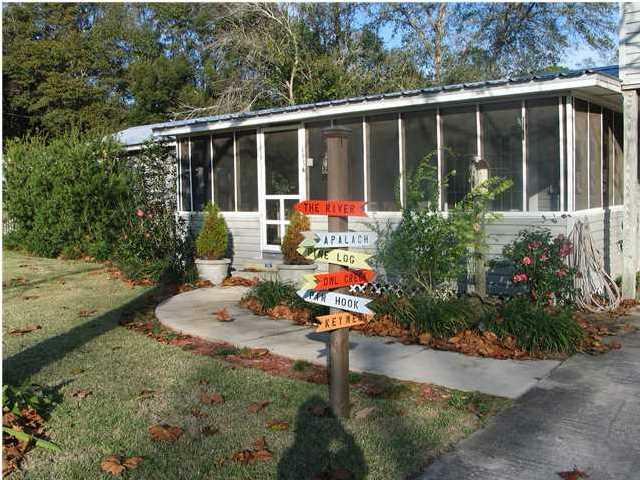 Fully Renovated Triplex in Apalachicola just 5 minutes to down town. Unit A offers 2 BR's/1 BA with private screened front porch along with covered parking while Unit B has 2 BR's/1 BA with separate courtyard and parking for a private experience. Unit C is a 1 BR/1BA garage apartment spacious in feel. Large privacy fenced backyard for all tenants enjoyment with fire pit, fruit trees, covered lanai and fully landscaped. Triplex is situated on 90'X100' corner lot with separate 2 car carport and large work shop for owner. Fully renovated exterior, interior and furnished for turn key investment. Currently owner lives in Unit A receiving rent monies of $1500/month gross for Units B and C. Current tenants highly recommended to stay. Keep Unit A for your enjoyment or rent it too! Call today for private showing.